The Mulch Elves always took a good, long vacation after the harvest was complete. Helping the ants bring in the grain, morsels of food and bits of dried fruits and nuts was not an easy task – but they were happy to do it if it pleased their ant neighbors. This year when it was all over, Papa and Mama announced that the trip was going to be wilderness camping – a decision that pleased the children. The family packed their belongings, each carrying an elven sleeping roll tucked neatly into a backpack. Mama packed a measure of grain to roast and tied it in a red bandanna slung over her shoulder. Each child carried sunflower seeds and dried pumpkin flakes for snacking; along with a skin of water that they could always refill at the nearby creek. Papa carried a skin of spirits (that he had been saving especially for the trip) and a few cigars. Since he was the strongest, Papa carried the sulfur matches that he’d use to start the fire once they made camp. Together the family trekked out on their adventure to the wilderness area that bordered the Cooper home, whistling elven marching songs. The brisk walk and change of scenery provided the Mulches with a sense of being lost in a secluded location where no one could find them. Once they arrived at the clearing by the creek, Papa and Mama told their triplets to go and gather firewood as they set up the camp. Edna, Ferris and Anna quickly set out to find the driest, most fragrant wood that they could roast their grain over while Papa told ghost stories. There was truth to what Anna said, dear ones. On vacation, Papa loved to scare his family with the ghost stories he would conjure in his head. It was his special delight to sip spirits and smoke a cigar while his family’s anxious faces glowed in the firelight as they listened to him. That night was no different. After the fire was lit (Papa used his toenails as a flint to strike the match), the family sat around it, cross-legged with sticks, roasting grain and eating it until they were stuffed. As Papa lit his cigar, he looked around and sighed. “Who was she, then?” Ferris’ voice trembled as he asked. “Do we have marshmallows?” Anna asked Mama, who shushed her as she glared at Papa. The children leaned forward; so far Papa’s story wasn’t making sense. “Did you say she disappeared?” Edna asked when there was a significant silence. Papa nodded sadly. Papa was distracted by Mama’s outburst, but only for a moment. As soon as Ferris, Edna and Anna assured her that they would not climb trees, Papa continued. “It was then that the Nanny realized Anabell was missing. The Nanny’s name was Ophelia, a big woman who had been putting the baby to sleep in his crib in the tent. As soon as Ophelia came out to the fire, she looked all around for Anabell, but she was nowhere to be found. The father was furious and blamed the Mother. The Mother blamed the Nanny. The Nanny blamed Annabell, and all of the children were running around calling her name like she was a dog, lost in the darkness. Papa shook his head and puffed on his cigar. He looked around and saw different expressions on the faces of his family. Mama looked worried, Ferris looked angry, Edna and Anna had eyes as big as saucers. He decided to continue. The fire crackled. Papa sighed deeply. Ferris could no longer remain silent. 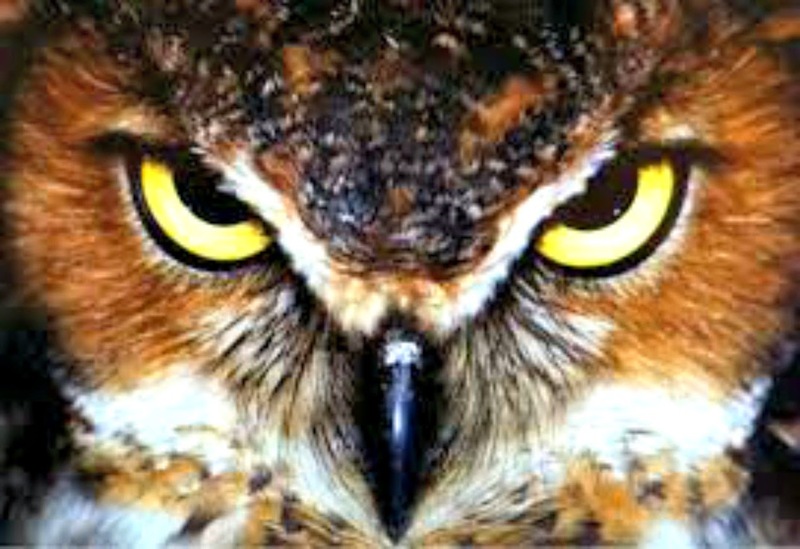 As Papa said this, a great horned owl landed close to him, causing the dust to rise up from the ground in a cloud. The Mulches were so startled that they nearly all ran home leaving their things there. Instead, they waited for the owl to fly away before they packed their things neatly and started for home. They did this in the middle of the night when crickets were chirping and owls would swoop down near them. The Mulches (even Papa) trembled and marched quickly in silence until they arrived safely in their subterranean structure, just under the great sycamore.